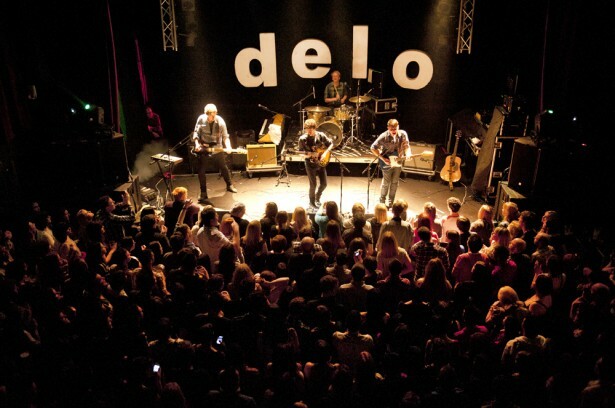 Delorentos » Little Sparks Tour and new Video! After the whirlwind of the last month, we’re very excited to get out on tour. The Pop-up shops, the Web launch of the album and the response so far have all been amazing, thank you to everyone who has been so generous with their praise and time so far! The first thing to tell you is that in connection with our creative ideas with the music and release, we’ve also tried taking that into our music videos, and Níal has directed and co-produced the new Video for “Right to Know!” check it out and let us know what you think! I guess the big news is that as of last Saturday’s gig in Dublin we are now on our Irish “Little Sparks” Tour. The Dublin gig on Saturday was very special for us, as well as being the first time to perform half the set live, it was also the first time to play various instruments, tracks and set-ups, so thank you to everyone who filled the venue with their bodies and their voices. 🙂 We hope it was as good for you as it was for us. We’ll be all over the country between now and March 31st – come out and see us! We’re very proud to announce we’ll be playing with We Cut Corners, Squarehead, Spies, Girl Band, and Moscow Metro on this Tour, all fantastic acts which should help make the shows brilliant!